Blog Search Engine is a web portal that features various blogs from all over the web, making it a one-stop-shop for people looking for information. It is the perfect place to get your blog featured as one visit to Blog Search Engine can get the attention of people who otherwise might not even get to know that your blog exists! Your review post will also be published on our Facebook fan page and Tweeted giving you important social media signals back to your blog. Blog Search Engine is a part of the Splashpress Media network, which has numerous blogs under its wings. One of these sites is Bloggy Award, which offers a more in depth review for your blog. For this membership package, you get everything offered in the standard membership package plus a review of your blog written and published with permanent backlinks on Bloggy Award! Interested in more promotion, reach and authority for your blog or website? 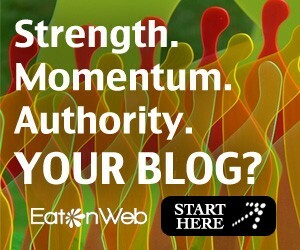 Make sure you head on over to the oldest blog directory Eatonweb and sign your blog up there too!